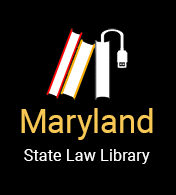 In Maryland, the law does not distinguish between different breeds of dogs or single out pit bulls for special treatment. There is a common set of responsibilities for all dog owners. If your dog injures or kills someone, the law will presume that you knew, or should have known, that your dog was dangerous. That presumption makes it easier for the injured person to sue you. You can present evidence that you did not know your dog was dangerous, but unless you can prove that, the law will assume you knew or should have known. Teasing, tormenting, abusing, or provoking the dog. As a landlord, you may be held liable for injuries caused by your tenants' dogs, regardless of breed, if you had knowledge that the dog was dangerous and did not take reasonable steps to protect tenants and visitors from harm. Things like knowledge of previous attacks or reports from tenants that the dog acted viciously can be used as evidence that you knew the dog was dangerous. As a landlord, it is your responsibility to take reasonable measures to make the premises safe for all. This includes keeping common areas like hallways, laundry room, etc. safe. If a person is injured by your tenant's dog in a common area under your control, you could be found liable if you did not take reasonable steps to prevent the harm. You will have a defense to liability for the dog attack if the injury happens inside a tenant's apartment or another place that you have no right to control.